8.1 What is the recovery time following breast enhancement via fat transfer? 8.2 How long will the new breast volume last? 8.3 Am I too skinny for fat grafting? 8.4 How much volume can be achieved with this method? 8.5 How much does a fat transfer for a breast augmentation cost? Breast augmentation with fat transfer is a less invasive surgery to increase breast size by injecting your own, natural fat cells collected through liposuction. The benefits of breast enlargement with fat transfer are incredible: There are no implants placed in your body, there are no lifting restrictions after surgery and you can have liposuction body contouring for your hips, thighs or stomach. All this and the results really last. Women who want larger breasts with a more natural look and feel can now achieve this with Dr. Anna Wooten, one of the most experienced fat grafting surgeons in the Pittsburgh area. 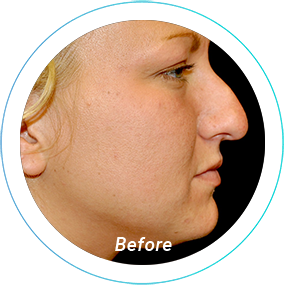 She has helped women from Pittsburgh to Wexford to Sewickley and Cranberry Township and beyond look and feel their best with cosmetic surgery. Contact us online today or call 724-759-7777 to schedule your natural breast augmentation consultation. Another added benefit of fat transfer breast augmentation is that the surgeon does not need to make large incisions into the breast. Instead, after collecting your body’s available fat cells, Dr. Wooten carefully injects the purified fat cells into the breast site using a threading process. A portion of the fat injected is reabsorbed into the bloodstream; however, most transferred fat is retained by the body and begins to grow naturally to augment the breast area where it has been injected. 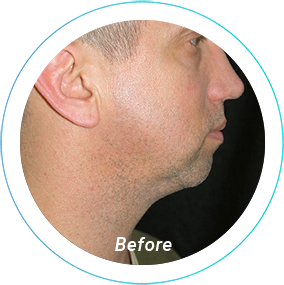 This process of fat collection and redistribution within the same patient is technically known as an “autologous graft.” As the name implies, you are the only one who can donate fat–you cannot have fat donated by a relative or a friend. Women who want larger breasts with a more natural look and feel can now achieve this with Dr. Anna Wooten, one of the most experienced fat grafting surgeons in the Pittsburgh area. There are many benefits Pittsburgh patients can expect with fat transfer breast augmentation. Throughout the entire process, your body remains free of foreign objects. 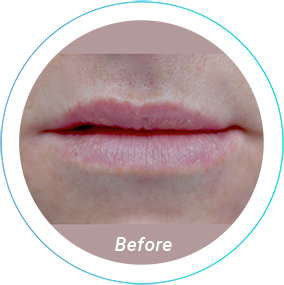 No implants mean less maintenance as far as implant replacement. 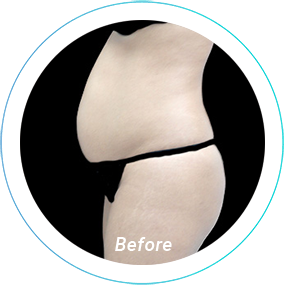 The transferred fat not only feels natural, but it is also more easily accepted by the body. 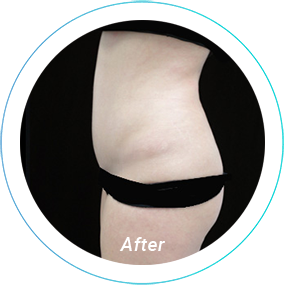 Fat cells are delivered to the breast by way of tiny, minimally invasive injections. Because incisions are minimal, scarring is also minimal. 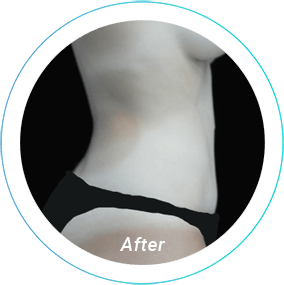 With fat transfer you can enlarge your breasts with the added benefit of losing excess body fat. 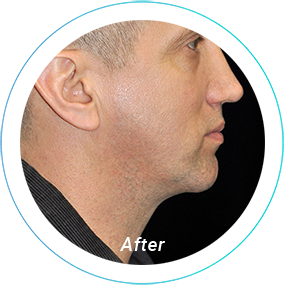 With no requirement to physically adjust to the presence of an implant, fat transfers make recovery time different. 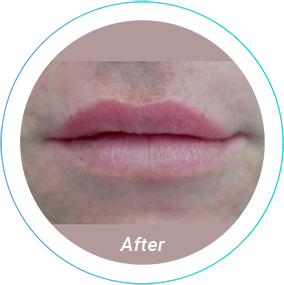 With fat transfer, you will wear a garment after surgery and have some bruising. 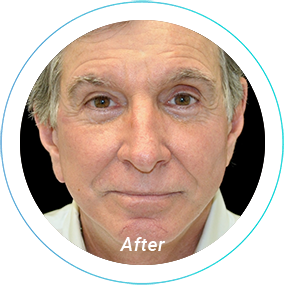 With implants, you will have weight lifting restrictions and submersion in water restrictions as well. Wish your breasts were larger. Want to see an improved shape and/or symmetry in your breasts. Have realistic expectations toward your procedure. While fat transfer can both slim your figure and add natural, attractive volume to your breasts, the treatment is only capable of increasing your breast size by one cup. A fat transfer will also not lift the breast. Are in overall good health and do not have a condition that could interfere with your healing. Are a non-smoker. Smoking can interfere with your body’s ability to accept the transferred fat. 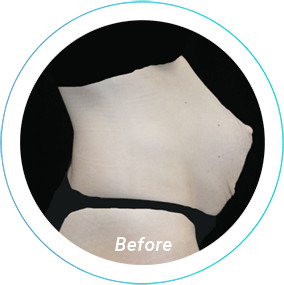 While it is helpful if you have excess fat that you would like removed to be used in your fat transfer, even if you do not have much extra fat on your body, Dr. Wooten will likely still be able to carefully collect enough fat to perform the breast augmentation. If you would like to learn more about your candidacy for a breast fat transfer, call Beleza Plastic Surgery today! 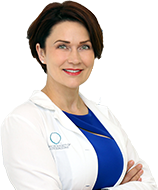 Dr. Anna Wooten puts great care into each patient’s unique treatment plan. In order to tailor a breast augmentation fat transfer that is perfectly right for you and your goals, she will want to complete a physical assessment, as well as go over your medical history and medication use. After she has examined your breasts and potential fat donation sites, she will outline a procedure that meets your aesthetic goals and makes the most practical and aesthetic sense for your body. 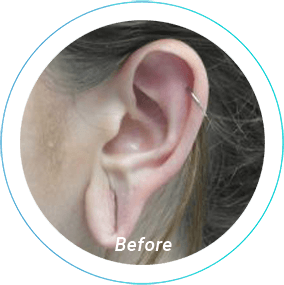 This consultation is also intended to help you make your decision about what you feel is the best body modifying procedure for you. If you have any questions, please do not hesitate to ask. 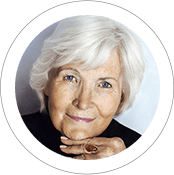 Dr. Wooten and her team are here to help you meet your vision for yourself safely and elegantly. If you would like to find out more about your breast augmentation options or have questions about any cosmetic procedure, call Beleza Plastic Surgery today to schedule a complimentary Consultation. You will return home the same day as your procedure. It is recommended that you ask a friend or family member to drive you home after your appointment, as the effects of the anesthesia can impair your ability to drive. You will be able to resume moderate activity the day after your breast fat transfer if you choose, but strenuous activities like exercise should be avoided. While each recovery depends on the patient, you should be able to return to cardiovascular exercise within three weeks, heavy lifting within six. It is not uncommon for patients to feel fatigued following their fat transfer for breast augmentation procedure. Some patients decide to take a few days to just under a week off from work. A breast augmentation with fat transfer only requires small incisions. 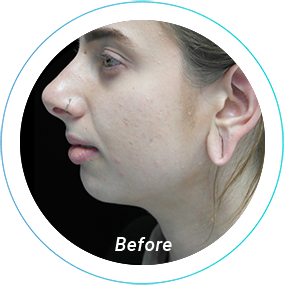 This minimally-invasive procedure results in a recovery that is more comfortable than most other recoveries from a body modifying procedure. Your treated area may briefly feel numb, or your breasts may be sore for the first days following the procedure. Over-the-counter medications are available if you would like relief from any discomfort. After your procedure, your breasts, as well as the areas where liposuction was performed, will be bruised and swollen, but these symptoms will subside within one to two weeks. Refrain from applying too much pressure on your breasts for the first four weeks of your recovery. For example, make sure that you do not lie on your stomach. It is recommended that you wear a bra that is not tight, but loose and comfortable at this time. You may also be advised to wear a compression garment, depending on where your liposuction was performed. As the swelling in your breasts subsides, you will be able to observe the results of your fat transfer. Your results will be 80% apparent within two months. Within six months to a year, your breasts will reach their final appearance. Due to the fact that the body never accepts all of the transferred fat, Dr. Wooten adds volume to the breasts strategically, in order to accommodate the body’s accepting the ideal amount of fat. This fat is added until the body no longer accepts the fat in that specific area. Once your swelling is healed and your body has accepted the transferred fat, you will have breasts that are larger, more symmetrical, and more attractive. 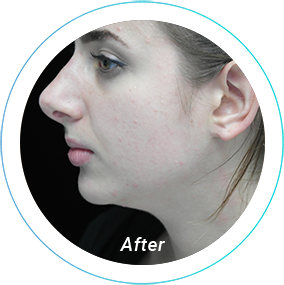 They will look and feel natural, thanks to the added volume created by your own body’s fat. Unlike traditional breast augmentations, you will not have to return to the doctor in the future to have an implant inspected or replaced. You will be able to enjoy the results of your breast augmentation with fat transfer for years to come! What is the recovery time following breast enhancement via fat transfer? There is a very quick recovery following a fat transfer. You will be able to resume normal activity within four or five days, however, your final result will be visible after six months. How long will the new breast volume last? Fat transfer is an effective method to obtain long-lasting but moderate breast enlargement without the use of implants. The fat that survives the grafting process becomes living fat tissue that will be a permanent addition to the volume of your breasts. However, the amount of transferred fat that ultimately survives varies from patient to patient. Dr. Wooten will be able to determine if you are a good candidate for breast enlargement with fat transfer. She’ll also inform you as to how many procedures you may need based on current conditions and desired breast Size. Am I too skinny for fat grafting? Very rarely are patients disqualified from having a natural breast augmentation via fat transfer because of being too thin. 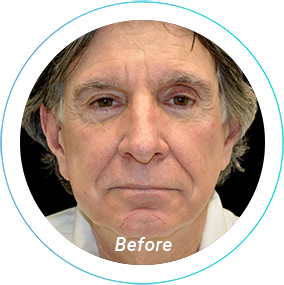 Even if the patient does not have visible regions of fat deposits, Dr. Wooten is able to collect enough fat over large surface areas. How much volume can be achieved with this method? When it comes to increasing breast size with fat grafting, Dr. Wooten advises her patients to expect no more than a cup size in increased breast volume. For patients wanting a more dramatic change in size, shape, fullness, or projection, we recommend a traditional breast augmentation with an implant or a breast lift combined with an implant. How much does a fat transfer for a breast augmentation cost? The cost of your breast augmentation with autologous fat transfer depends on the unique details of your treatment such as the extent of liposuction your procedure will require. 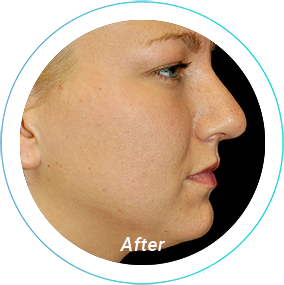 After you complete a consultation with Dr. Wooten, she will tailor a fat transfer treatment plan to you. You will then receive a cost breakdown of your individualized breast augmentation with fat transfer. In general, fat transfer for breast augmentation is a more expensive procedure than a breast augmentation with implants. This is because a fat transfer is technically two procedures combined into one, liposuction and breast augmentation. It also eliminates the expense of future implant “maintenance”, thus reducing the overall cost.